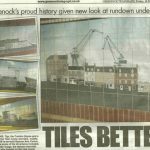 6274 public art were commissioned by Riverside Inverclyde to bring a well known street mural back to the town of Greenock, Inverclyde. 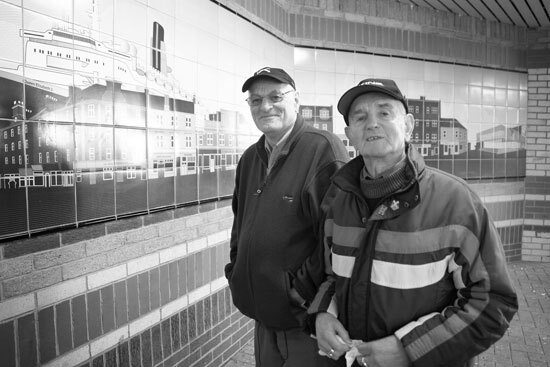 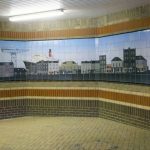 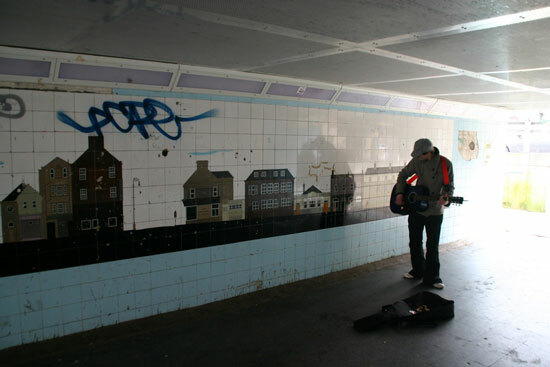 The Mural was in place on the walls of the Westburn underpass for decades before it was taken down and replaced by a new public artwork in November 2010. 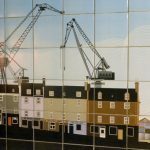 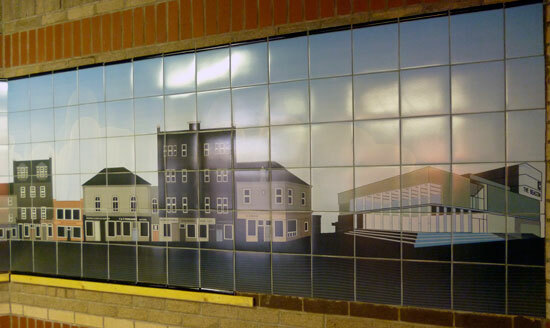 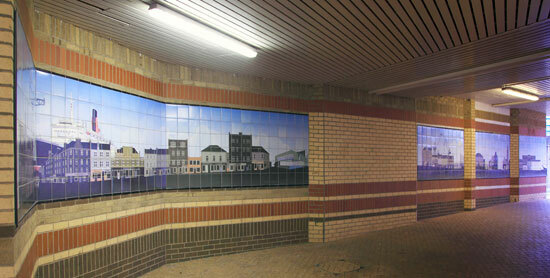 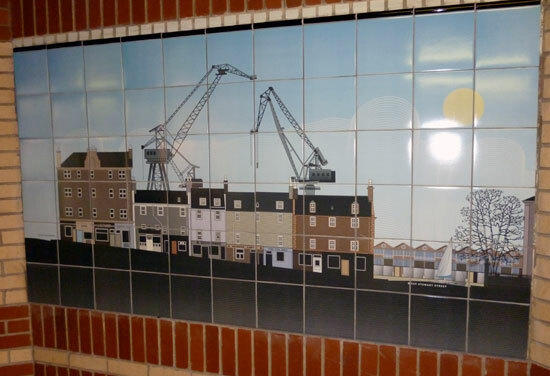 The painted tiles depicted a street scene of Greenock in the days before the construction of the town’s Oak Mall. 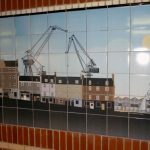 Shops and businesses of the towns past including Westburn House, the Regal Cafe and Sheila Simpson Wool were all part of the artwork. 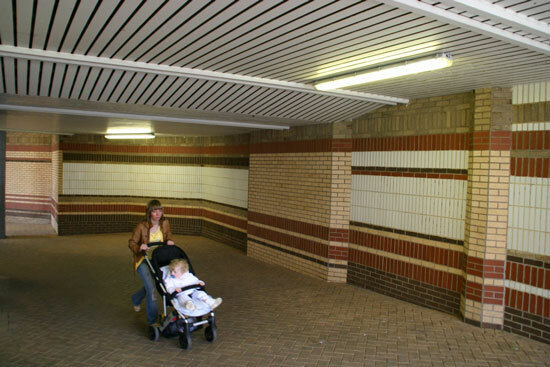 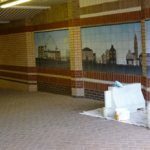 Below is how the underpass looked before the restoration tiling project took place. 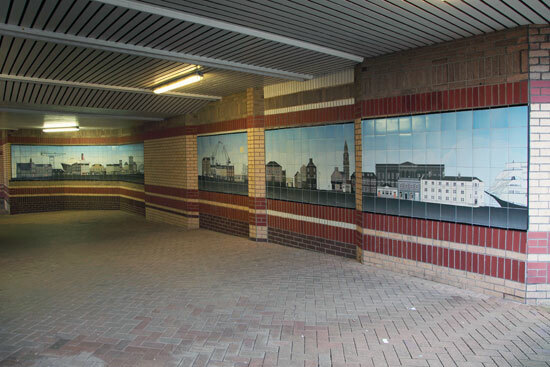 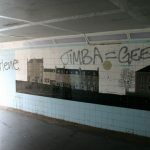 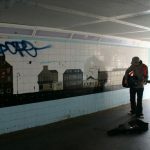 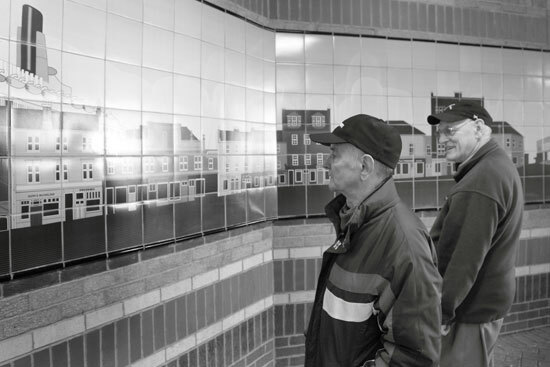 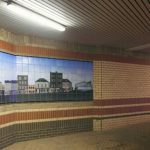 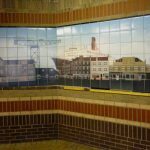 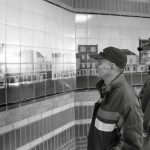 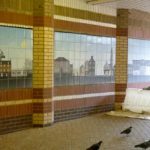 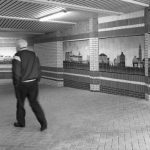 Before the initial building work started on the Westburn site, 6274 Public Art took photographs of each section of the underpass mural. 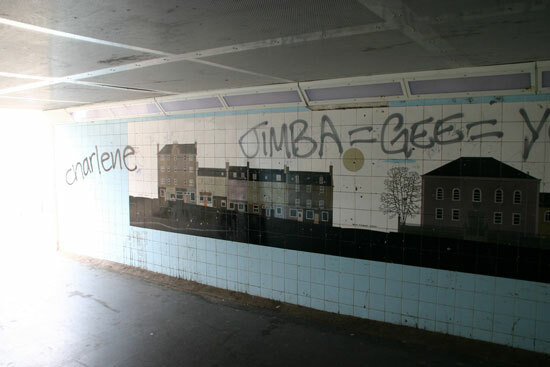 There was a large amount of graffiti and damage to the tiles over the years which had to be digitally touched up. 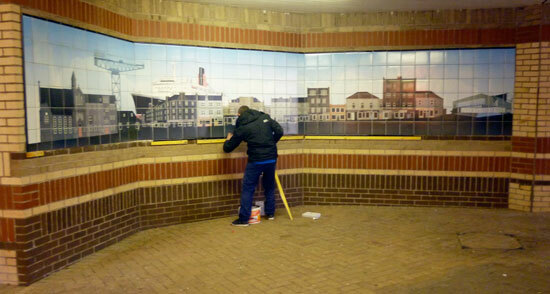 The next stage was to hand illustrate the street scene as close as possible to the original as we could. 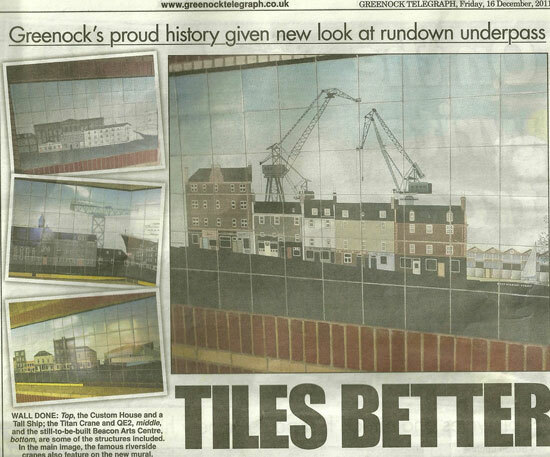 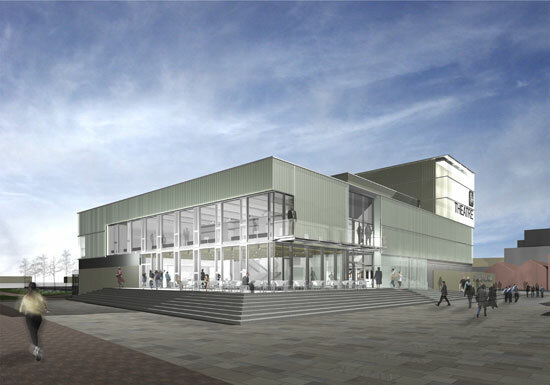 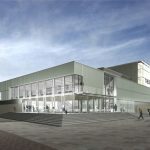 Once completed a few modern Greenock landmarks were added, including references to the Tall ships festival, Clydeport Cranes and the soon to be constructed Beacon Theatre. 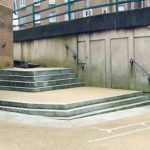 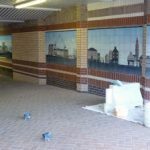 When approved, the full 23m2 mural artwork was digitally transferred onto porcelain tiles using our technique which has been a great success in the past. 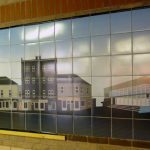 The tiles were fired at 800 degrees to seal the graphic transfers into the glaze before being laid out on the factory floor for inspection and numbering. 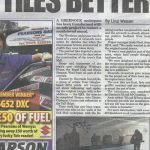 Once each tile was inspected they were numbered in a grid and key plans were passed over to our tilers M and M Ceramics of Dunoon for installation. 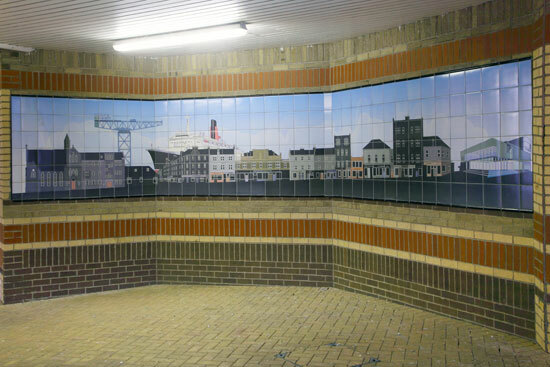 Billy McGuinness and his team expertly installed the 6 section of the mural over a period of 10 days and had to endure the lovely Scottish winter to complete the job. 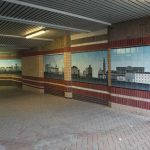 The kind comments we have received from passers by and locals who remembered the locations depicted within the mural have been greatly appreciated. 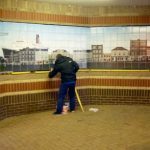 I remember the original tiles going up and was saddened to see them go, but they are back in a better place which was an otherwise fairly dull corner of the town centre. 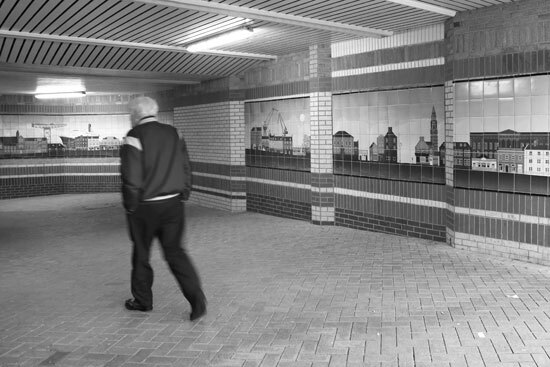 Local Passer by. 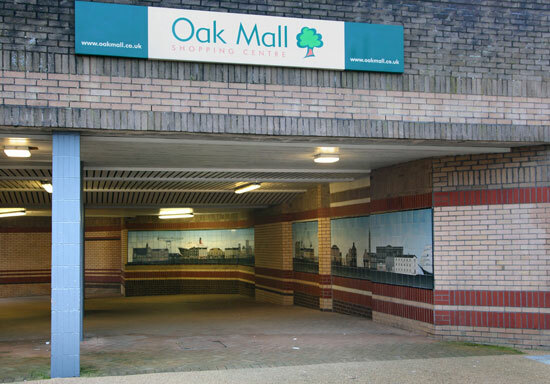 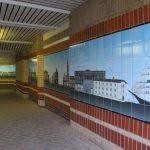 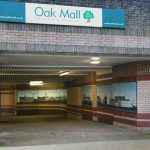 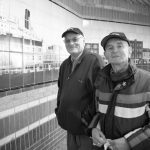 We would be delighted to hear any stories you may have about the shops and businesses that are part of the Oak Mall ceramic mural so please feel free to leave a comment below and we’ll do our best to reply. 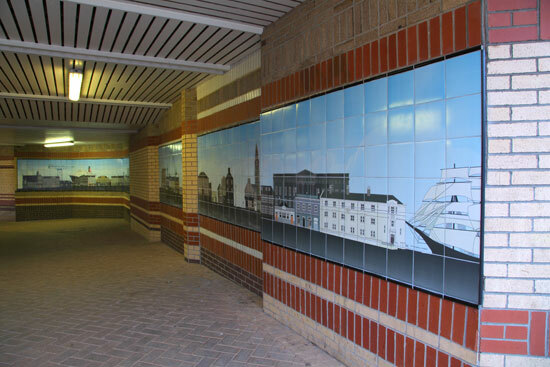 6274 Public Art would like to say an enormous thanks to everyone involved in making this project happen and would be delighted to work on any future ceramic restoration projects. 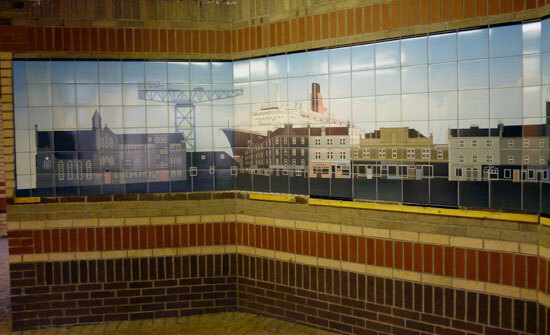 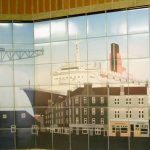 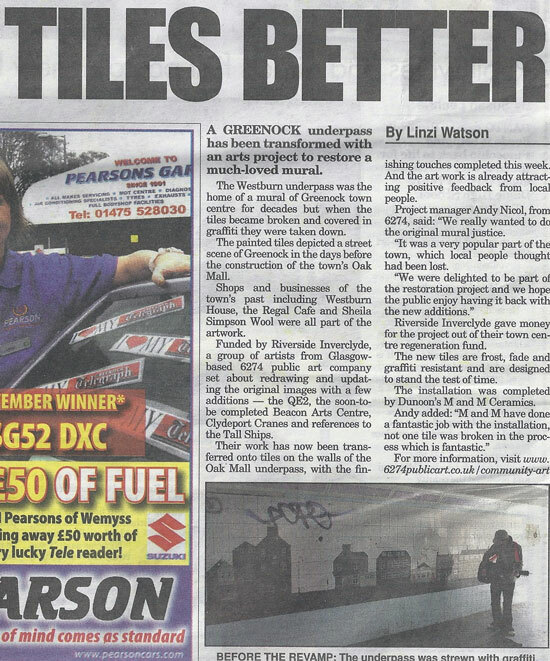 Tags: 6274, 6274 public art, graphic Tiles, Greenock, Greenock Mural, m and M ceramics, Oak Mall Mural, public art, Riverside Inverclyde, Tile Restoration, where is greenock in scotland?